AGILE promotes academic teaching and research on geographic information systems at a European level. EARTO is the trade association of Europe’s specialised research and technology organisations. Its members make a major contribution to strengthening economic competitiveness and social development in Europe by supporting product, process and service innovation in all branches of industry and services, public and private. EARTO represents the views of its members to European decision-makers, and is a forum for exchange and co-operation between its members. ERCIM aims to foster collaborative work within the European mathematics and informatics research community and to increase co-operation with European industries. Leading research institutes from 16 European countries are members of ERCIM. International research group to assess and develop state-of-the-art methods and tools of safety-critical systems. Coordination of strategies and initiatives for the digitisation of cultural and scientific content in Europe. Austria’s umbrella association for non-university research. 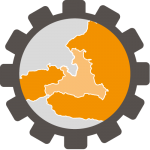 The aim of AAL AUSTRIA is to link the heterogeneous stakeholder landscape in the area AAL, the establishment and development of an Austrian AAL community, and to promote the visibility of the issue AAL at all levels of public perception. The OCG is a non-profit association whose members include representatives from the fields of science, IT applications and education as well as IT companies and single researchers. It’s objective is to promote information technologies with due regard to their effects on man and society. 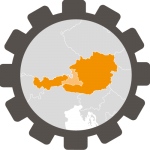 ITS Austria is a national initiative by the Federal Ministry for Transport, Innovation and Technology. It aims to foster telematics in Austria and serves as an information and know-how exchange platform between politics, infrastructure operatores, economy, industry, research and development. STEV Austria is a platform for everybody interested in software quality. The exchange of experiences is assisted and encouraged with informal meetings, seminars and conferences. The STEV president represents Austria within the international EOQ Software Group. Evolaris was founded in 2000 as an independent research and development institution for interactive media. Salzburg Research is member of the Business & Scientific Board. 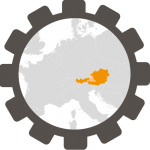 Secure Business Austria is an industrial research center for IT-Security founded by the Vienna University of Technology, Graz University of Technology and University of Vienna. Salzburg Research is member of the scientific board. Der Verband “Content Industries” ist ein Verein zur Unterstützung, Erforschung, und Vernetzung österreichischer und internationaler Inhalte und Anwendungen in der Breitbandkommunikation. HL7 Österreich supports electronic communication in health care with the use of the international standards ofHealth Level Seven (HL7). The WissenschaftsAgentur specializes in knowledge transfer. It serves as an interface between university and society and communicates findings and needs of both parties. Salzburg Research is a supporting member of the WissenschaftsAgentur. Association for promoting the collaboration of science and economy and fostering the innovation potential of Salzburg’s companies. Association of Salzburg’s leading multimedia institutions with the aim of shaping and guiding the future of digital television in Salzburg. GIS-Cluster Salzburg is a network of scientific institutions and SMEs with an emphasis on geo information in the State of Salzburg.